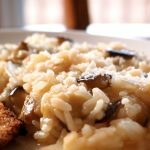 Risotto is one of the most comforting recipes that I know. I have been eating it since before I can remember. 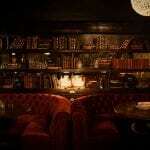 The warmth and creaminess is like a really good hug to me. Yum. 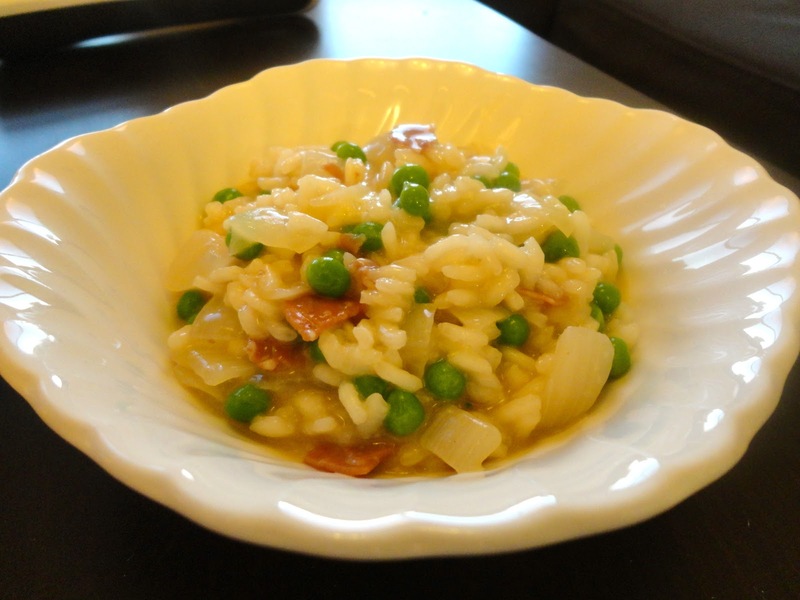 For my first risotto post on the blog, I’ve decided to start with my Nana‘s favorite version. 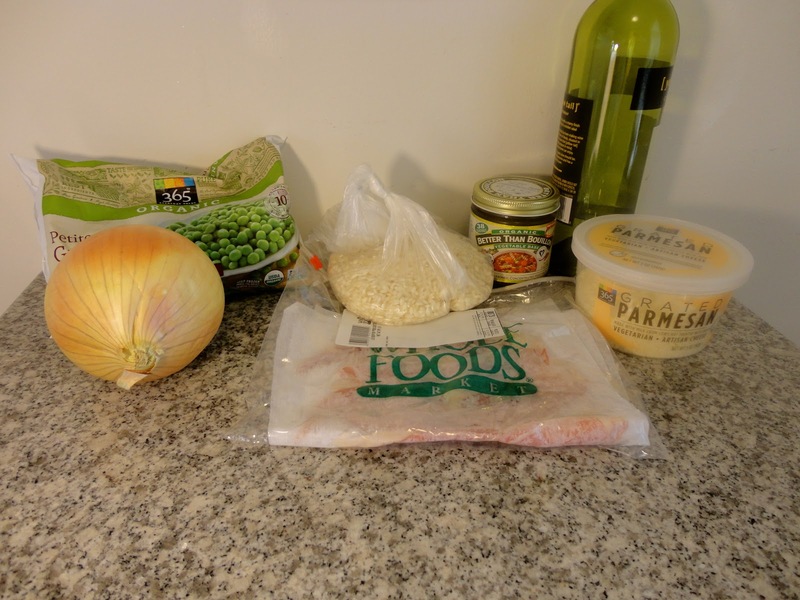 Prosciutto and peas. 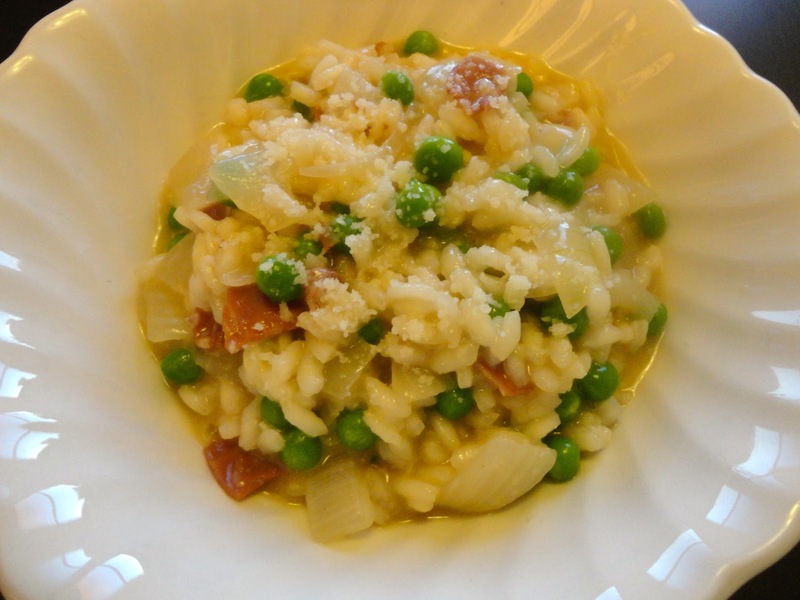 The saltiness of the prosciutto and parmesan, with the sweet bursts from the peas make this dish really special. 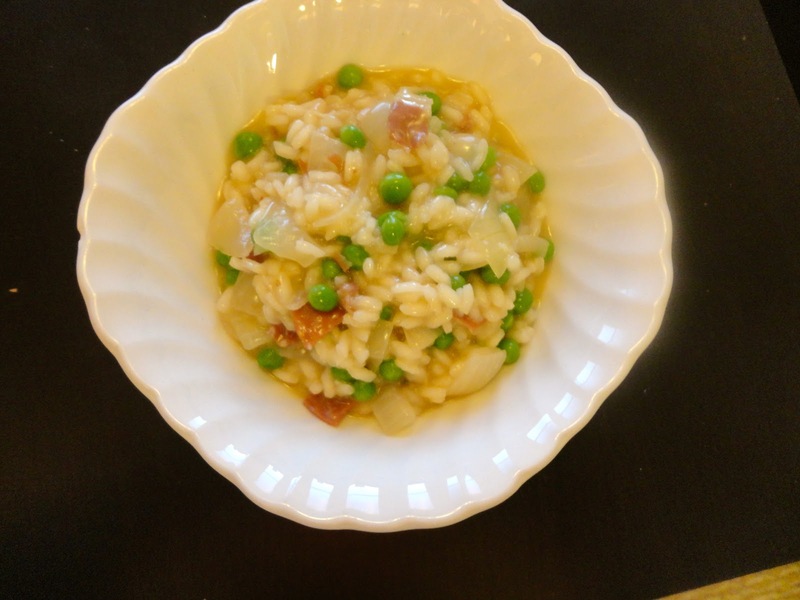 Plus, once you understand this recipe, you can take away the prosciutto/peas and add whatever you like! First heat up your broth on the stove. 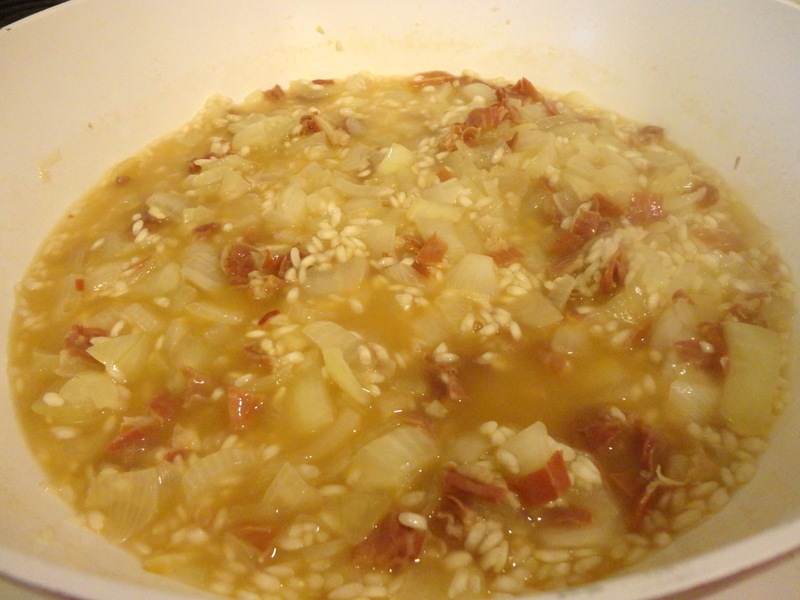 As usual, I used Better Than Bouillon, but you can use whatever you like. Roughly chop the onion. 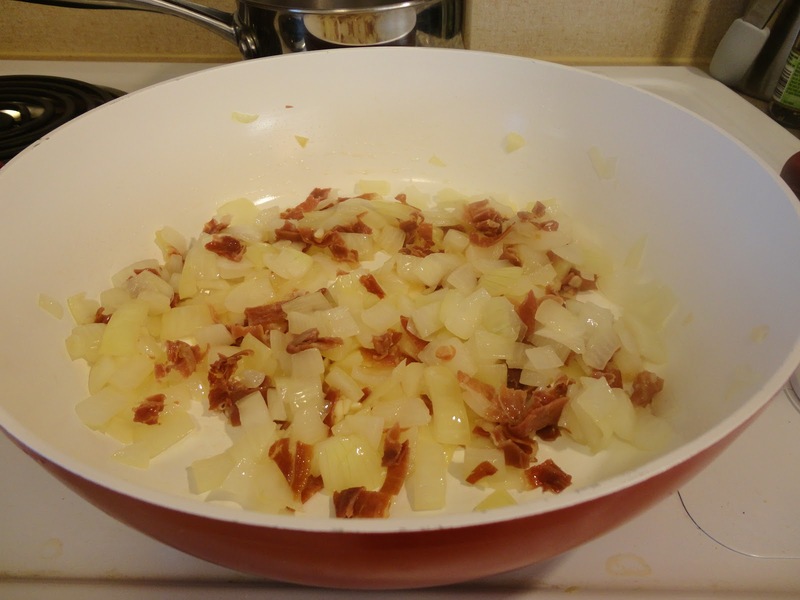 Heat up a large saucepan with olive oil. 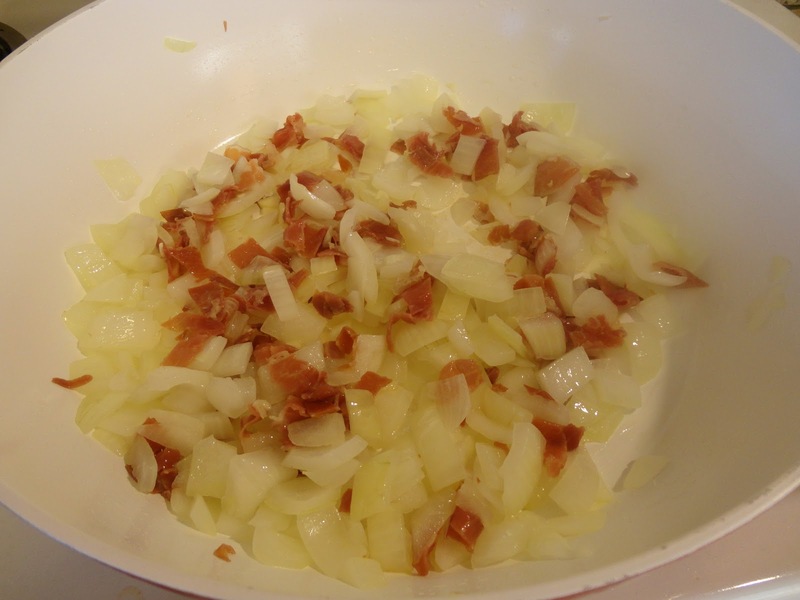 Once hot, add onion and saute until it starts to turn translucent. Roughly chop the prosciutto. 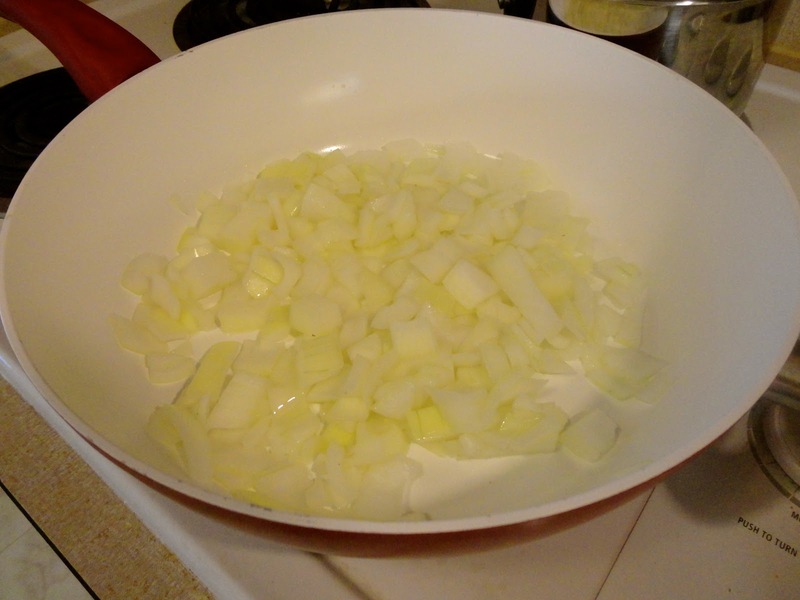 Add to the onion and saute. 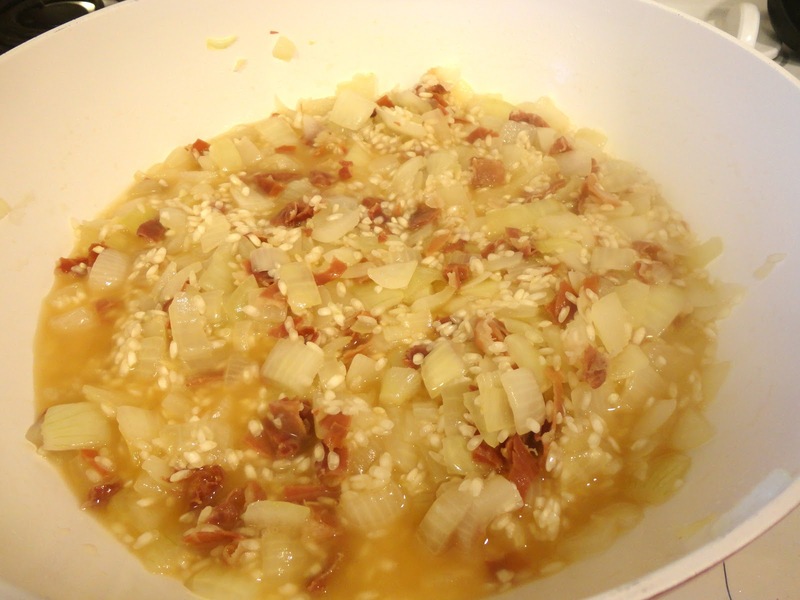 Once the onion is really tender and the prosciutto has been heated up, add the arborio rice. 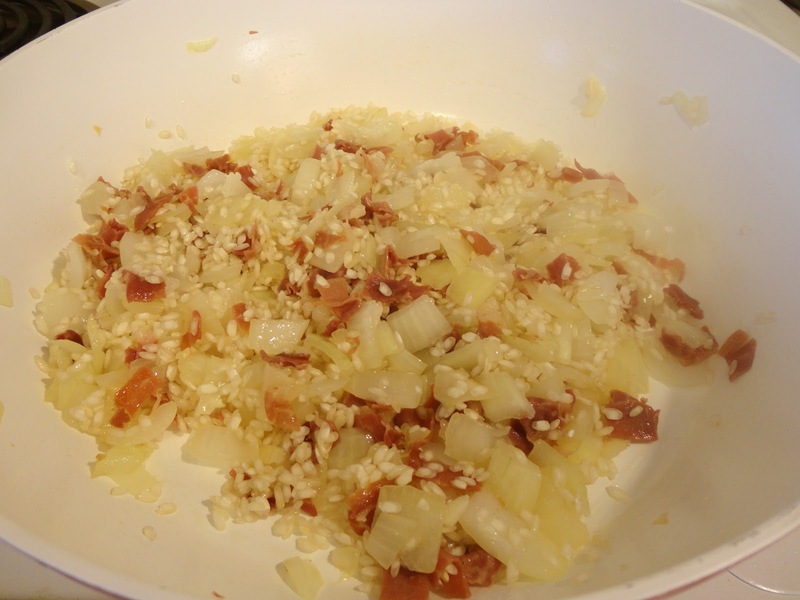 Stir the rice in and toast it just slightly. Then, add the wine. Cook until the wine has mostly evaporated. 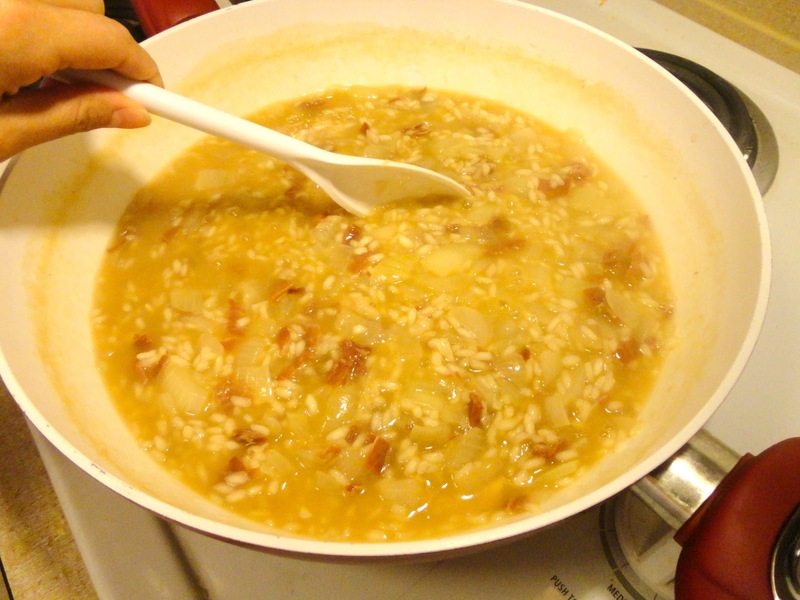 Ladle two scoops of your heated broth into the rice mixture. 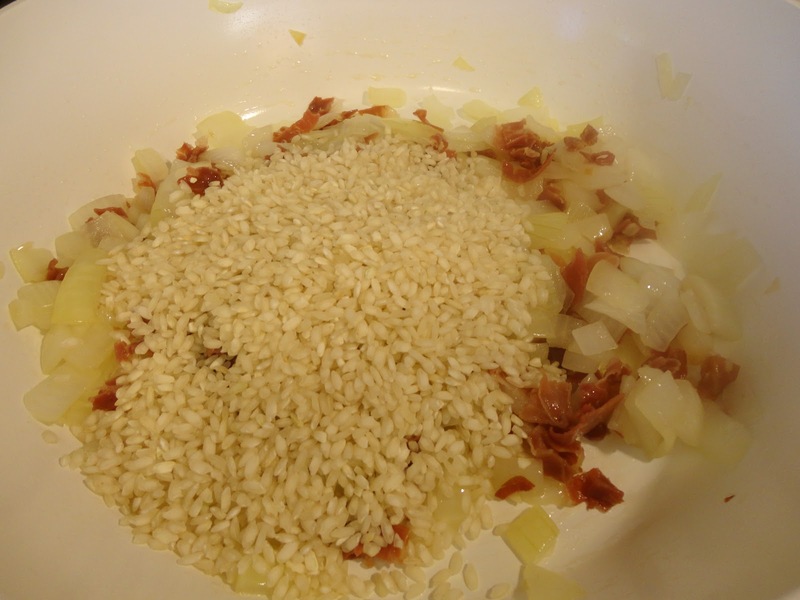 The key is to stir a lot as the rice soaks up the broth. Once those first few scoops are absorbed, add a few more. …until it looks like the pictures below. 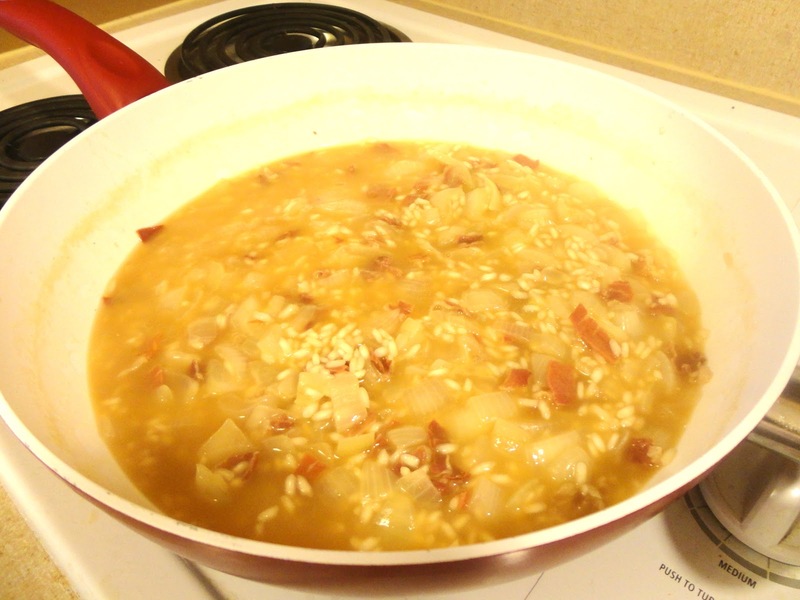 Techinically, you should add all 3 cups of the broth, but sometimes risotto can be fickle. 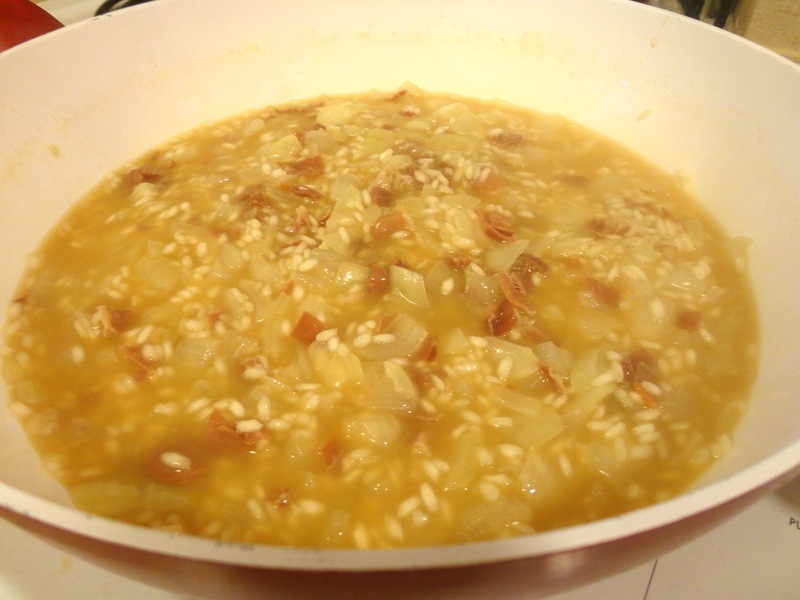 You can stop adding broth when the rice is plumped up and al dente. Taste it if you aren’t sure! 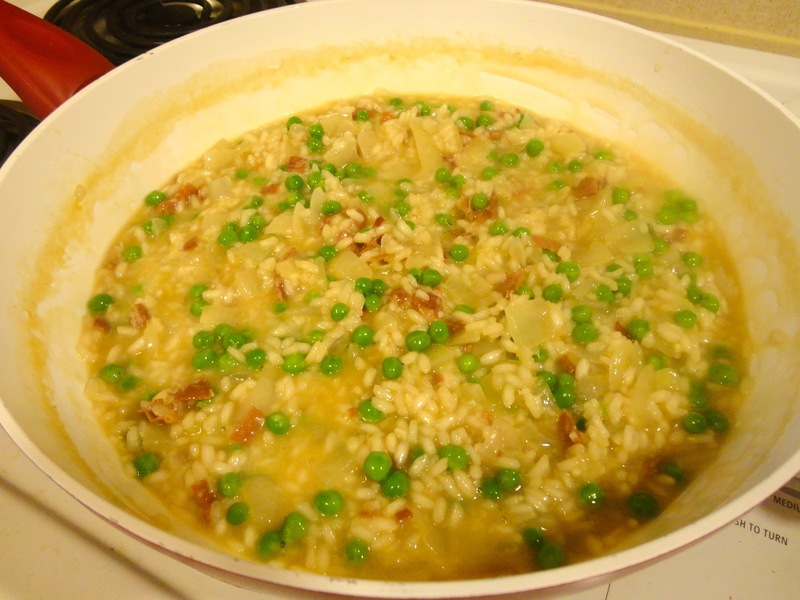 You want to add the frozen peas when the risotto is still pretty soupy. 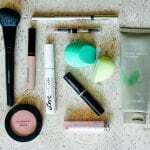 Add as much or as little as you want. 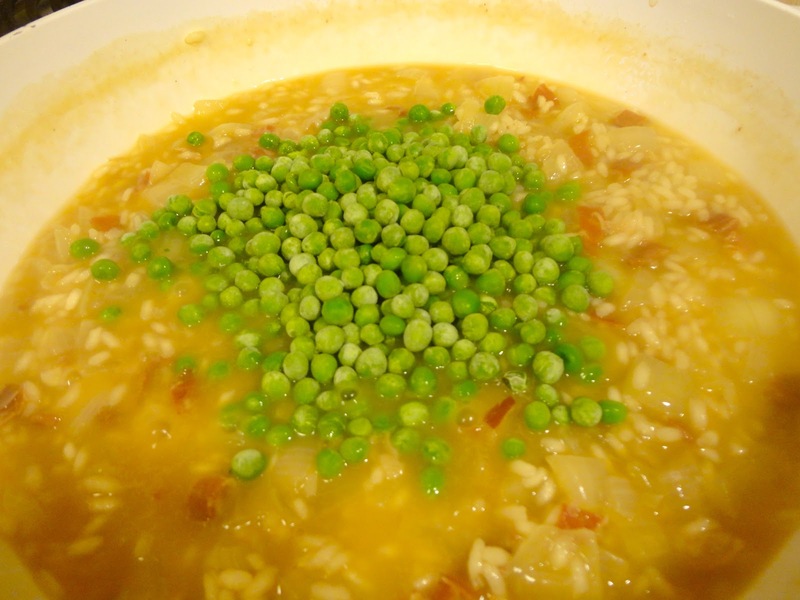 I like a lot of peas. Just add 1/3 of a cup to start if you aren’t a pea lover. Stir it in. 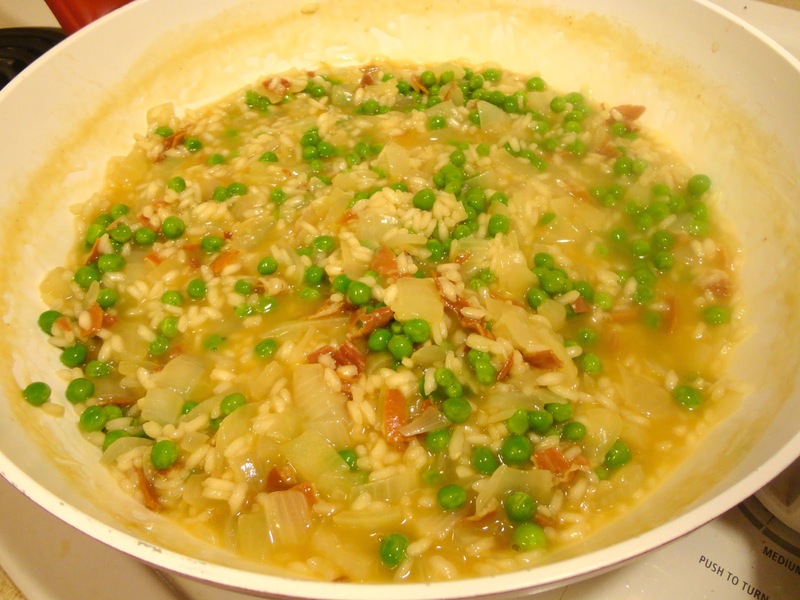 Cook until the peas have defrosted. 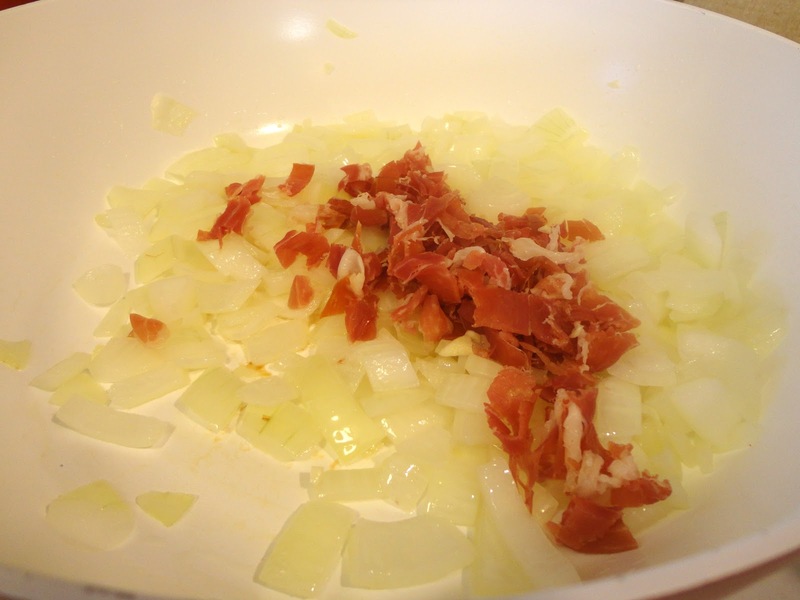 Add the parmesan cheese. 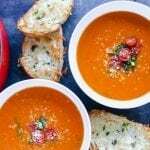 This can be a side dish, yes, but I won’t judge you if you skip the rest of the meal and just eat a few bowls of this for dinner. I’ve been there. 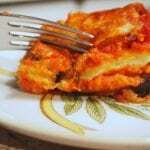 Sprinkle a little cheese on top and dig in.